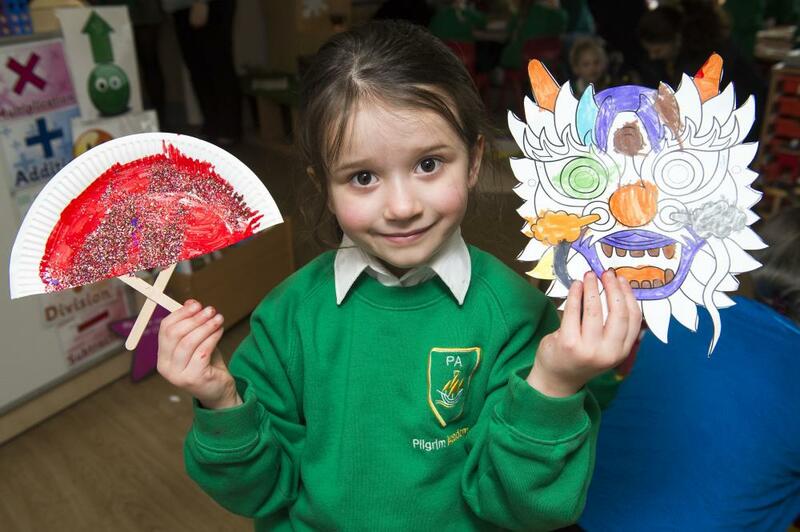 Early Years pupils invited parents and carers for a creative, craft afternoon to celebrate the start of Chinese New year. The classroom was full of fire-breathing dragons and Chinese lanterns as we celebrated the "Year of the Pig". At the end of the afternoon children and parents paraded their dragons around the school while Key Stage 2 pupils played samba drums. 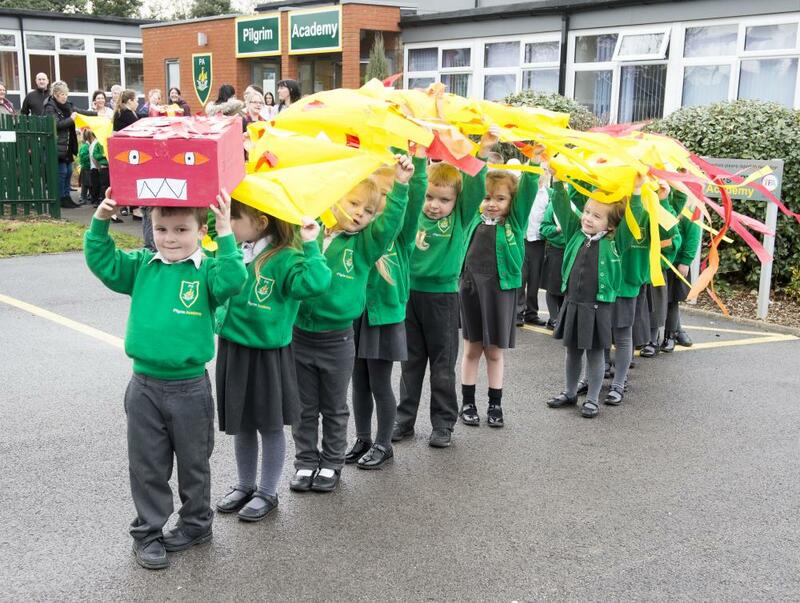 Pilgrim Academy children take part in a Chinese New Year parade for parents. Lacey-Mai Appleton (4) with a mask and fan. Pilgrim Academy Chinese New Year Celebrations. 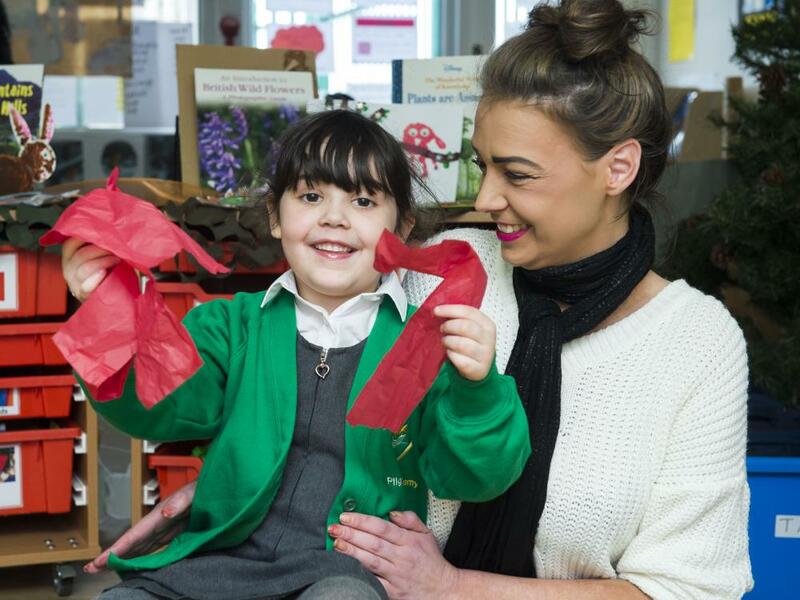 Rhiannon Mills and daughter Lucia Riley (5).